After a packed programme on Wednesday, delegates were at Incheba Expo on Thursday morning for the official opening of the SME Assembly 2016 by Commissioner Bienkowska, Slovakia State Secretary Rastislav Chovanec and Estonia SME Envoy Viljar Lubi. The State Secretary highlighted in his keynote speech the importance of SMEs as ‘key pillars in the economy’ as well as the need for international markets in order to fully exploit the potential of SMEs. Commissioner Bienkowska delivered a strong speech, encouraging startups to look for ‘the silicon valleys of Europe’ instead of taking their ideas and innovation outside of Europe. She acknowledged the need to facilitate startups and scaleups and impressed us all with her vision for an SME friendly Europe. The dynamic spirit continued when Mr Viljar Lubi challenged both speakers with insightful questions in preparation for Estonia’s hosting of the SME Assembly 2017. It was then the turn of Mr Hendrik Halbe, co-founder of startup pitching competition ‘Get in the Ring’, to introduce the entrepreneurs battling it out to go to the international final in Singapore. 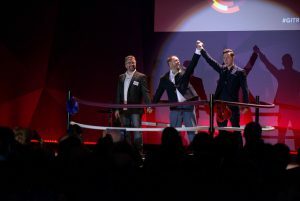 After two battles, and an extremely close final, it was Dutch startup Pearltect who came out on top with a unique bracelet designed to protect wearers from sexual violence. After the excitement of Get in the Ring it was time to talk policy and stimulate debate around entrepreneurship. The high level roundtable on entrepreneurship education allowed SME Envoys and experts in the field to come together and discuss the issues faced with implementation, incentives and training for entrepreneurship education. 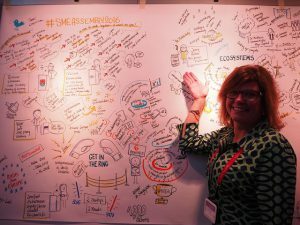 Over in the plenary room the panel on International Ecosystems hosted an international array of speakers, with special international guest Ms Jenny Fulton from the USA (CEO of Miss Jenny’s pickles) who shared her inspirational story about what it means to follow your passion. 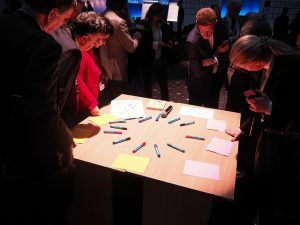 Delegates were then challenged to help write the agenda for the Open Space session on ‘Startup to Scale Up’, where topics were taken from the floor and discussions got underway. 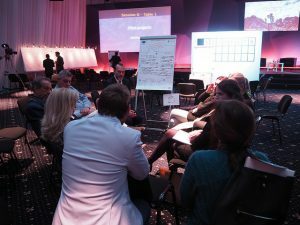 With topics ranging from solutions for startups that fail, to changing the perception of internationalisation for SMEs, the discussions were fruitful and culminated in a quick fire pitching round. This round kept pitches short, limiting topic holders to 45 seconds in order to summarise their discussions. The day closed with the gala dinner, followed by the long awaited EEPA 2016 awards. If you want to find out more about the winners, read the 2016 EEPA winners´ post. Also be sure to check out @EEPA_EU on Twitter and on Facebook and stayed tuned for upcoming posts in which we get to know these prize-winning projects from across Europe. The day was long and full of events, from inspirational talks to battling entrepreneurs. What will the third and final day have in store? You will have to wait and see our next post! In the meantime, visit the photo gallery on Flickr. What kind of (Single) Market do start-ups and SMEs need?